After my trip to New York as a personal shopper this past Wednesday- Thursday I came across a bunch of designers collections first hand in their flagship and branch stores. One store that I was particularly impressed with ( as I am always) was BCBG, so it is only appropriate that I dig a little deeper to see what the designer behind these garments is all about. Let’s dig in shall we? 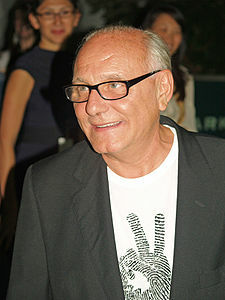 Born in Sfax, Tunisia on January 1, 1949, Max Azria founded BCBGMAXAZARIA. When he was 13 years old he moved to Paris to work as an actor. Eleven years later he moved to to Los Angeles, CA in 1981. In 1989 he launched his line BCBGMAXAZARIA, BCBG meaning “bon chic, bon genre” translated meaning ” good style, good attitude.” I don’t know about you, but I never knew that. In 1998 our guy, Max, was inducted in the CFDA and that same year he brought Herve Leger fashion house. The next year, in 1999, Max launched a plus size line in the fall. In the Spring he launched a new collection of men’s footwear. In 2004 he launched Max Azria Atelier for couture gowns. In 2006 Max launched his Max Azria collections which has more practical clothing. Many years passed and in 2007 he launched a Herve Leger line with his own designs. In 2008 Azria launched a contemporary collection called BCBGeneration. 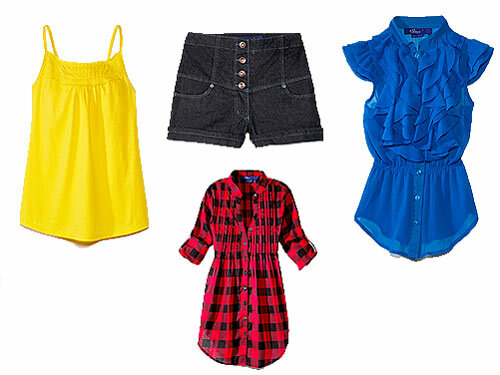 More recently, in 2009, Max and Miley Cyrus came together and create a juniors line for Wal-Mart. Higher end clothing by Max and Miley can be found in Macy’s. That makes me feel like maybe Macy’s is one step up from Wal-Mart when we all know that Target and Kohl’s are in between the two. What we need to appreciate about Max is that he was one of our designer/business people. He redefined designing and fashion by offering his high end collection at contemporary/affordable price points. He also has so many stores around the world it is insane. After opening 3 stores in Europe in 1999 he took off like a rocketship opening stores in Japan, Hong Kong, Australia, Venezuela and other countries. Not to mention he has a vast and immense presence in specialty stores. 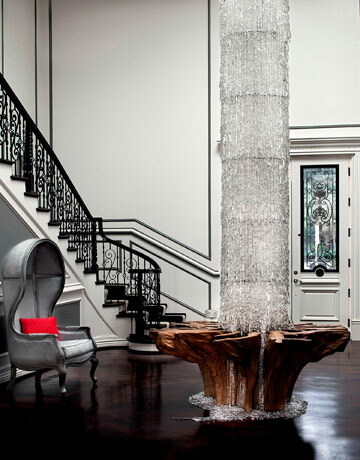 In his stores you will not only find designs that he dreamt up himself, but designs that have inspiration from fashion giants such as Coco Chanel, Versace, and many others. You will be over whelmed by the gowns that bear a startling resemblance to the gowns you see on the red carpet, because most of his clients come to him for special event garments. 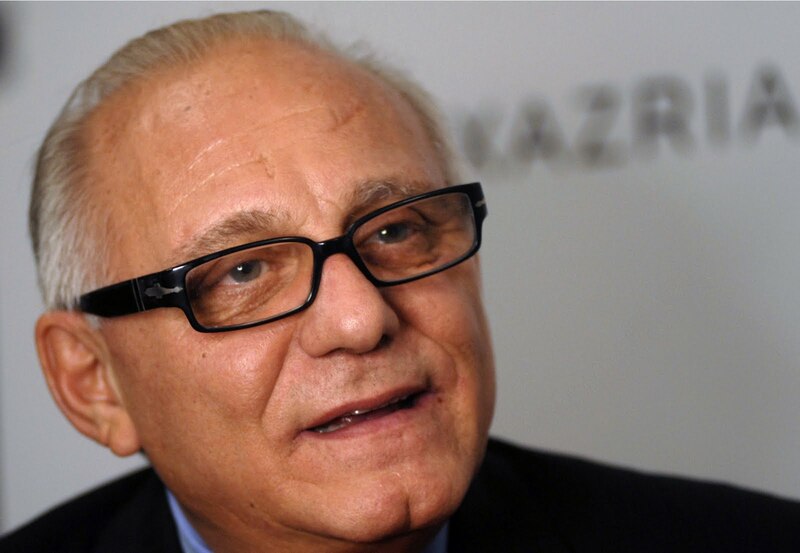 In regards to Max Azria’s personal life, he is married to his second wife, Lubov, who was also once a ballerina. She now is the creative direct of his billion dollar company. Max has 3 daughters from his first marriage names Chloe, Anais, and Agnes. The Womenswear, Menswear, and Accessory Designer of the Year Awards: Awarded to a designer working in America who has made the most outstanding contribution to and has influenced the direction of women’s ready-to-wear fashion, men’s ready-to-wear fashion, and accessory design, respectively, through his or her most recent Spring and Fall collections. The designer selected in each category must have his or her business based primarily in America. The Swarovski Awards: Awarded to a designer working in America who has made the greatest impact as an emerging new talent for his or her womenswear, menswear or accessory design through his or her most recent Spring and Fall Collections. The Swarovski Award was established to recognize and support the talent and creativity of the next generation of designers. The designer selected in each category must have his or her business based primarily in America. Eugenia Sheppard Award: Awarded to a writer, photographer, or editor who has used his or her craft to further the profession of fashion reporting and coverage, or to a creative director, fashion editor, stylist, or artist whose exceptional creativity has shaped fashion visually. International Award: Awarded to one designer (in womenswear, menswear or accessories) working outside of America who has made an outstanding creative contribution to the world of fashion. Geoffrey Beene Lifetime Achievement Award: Awarded for a “lifetime” of consistent, creative influence and dedication to fashion. Fashion Icon Award: Awarded to an individual whose signature style has had a profound influence on fashion. Eleanor Lambert Award: Awarded for a unique contribution to the world of fashion (and/or deserves the industry’s recognition and does not fall under any existing award categories). Board of Directors’ Special Tribute: A special tribute by the Board of Directors of the CFDA, given from time to time to acknowledge significant contributions and commitment to fashion. Now given his contribution to fashion world, the fact that he did not finish any type of schooling, and that he built his empire from the ground up is reason enough for him to have at least won one award. Not to mention, he dresses every best dressed celebrity to hit a red carpet. I mean goodness people ! 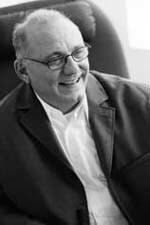 Either way we have nothing but respect for Max Azria because of the passion and influence he has given to the fashion industry. With the help of his wife, he was able to build an huge brand that hold fragrances and fashion lines. His pricing strategy has been recession friendly since before the recession and that alone is reason enough to embrace him and where his clothing. Oh and yeah, his clothes are also insanely gorgeous… reason number 2.